In our life, taking pictures is the most interesting way to keep our precious memories forever, Believe all the people loves to take photos to record the best moments of their lives. But it would be a heartbreaking if happened to loss photos due to some unclear reasons. We know document can be rewritten but your precious photos and videos are unique memories and cannot be rewritten. I have taken hundreds of photos with my Xperia as it's very good device for photography. When I woke up this morning seeing my little girl playing with my smartphone. I don't know how she could unlock the screen passcode. The sadly fact is that a bunch of my photos and videos were deleted without notice. When I checked the photos on my Google Drive, there were gone too. These photos are very important for me as they were taken from a family gathering in Europe. At first, I am a little scared about this. A couple of minutes later, I found out I had succeed recovering deleted files from corrupted hard drivers, so it should be OK to get the deleted photos and videos back on my Sony Xperia too. 1) Accidental deletion of image files on your phone. Fortunately, regardless of what caused your important photos or videos losses, it is still impossible for you to recover deleted or lost photos from your Sony Xperia phone as long as they have not been overwritten by other info. Lost or deleted pictures on Sony Xperia phone can be easily recovered using Android Data Recovery tool, which is capable of recovering all kinds of files deleted on any given Android devices. And Xperia is no exception. 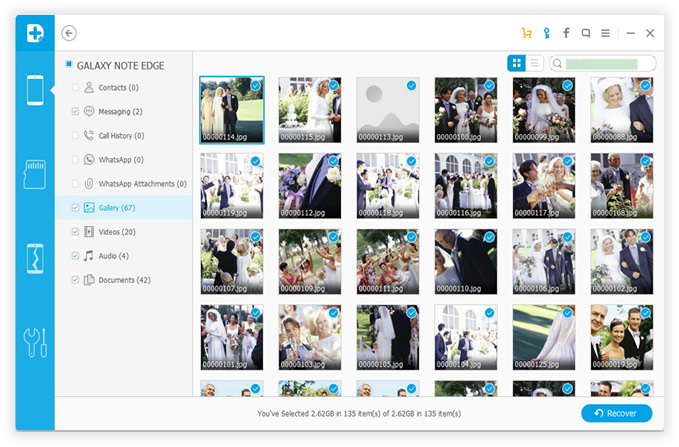 It used its powerful scanning algorithm to deeply scan any memory devices, and easily recover lost photos and videos under any data loss scenario, making the photo recovery easier. Click above button to store the download file on your PC or Mac. Double click the downloaded files to start the installation process. Launch the program when installation is completed. Then plug your Sony Xperia device the computer via USB cable. Make sure USB debugging is turned on. 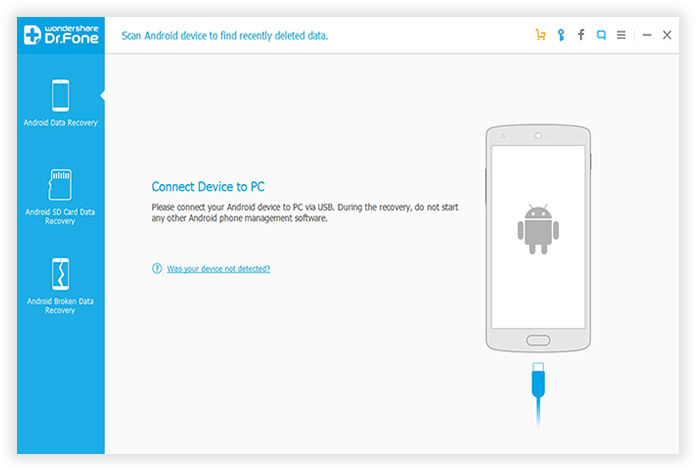 You need to enable USB debugging on your Android so that the program have enough authority to access your Android storage system and perform certain functions. Maybe different system have different debugging settings, here we show quick access to the USB debugging mode. 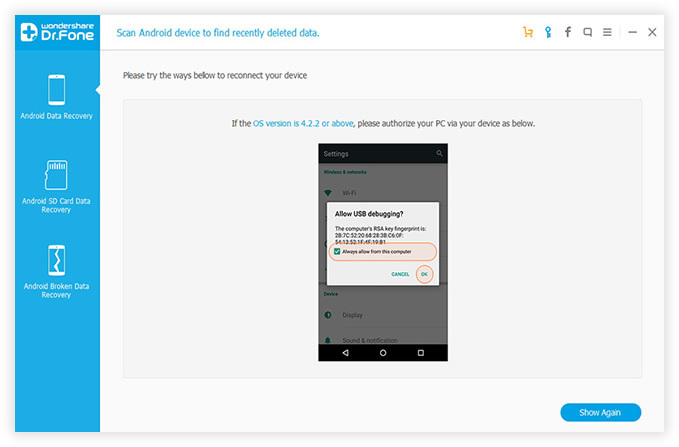 When the device is connected, It starts to analyze the files stored on your device. Look at your phone's homescreen, click "OK" to allow the program super user authorization when an Superuser Request pops up. Click "Start" to scan all storage systems. This may take some time. You can leave it alone and come back a few minutes later. 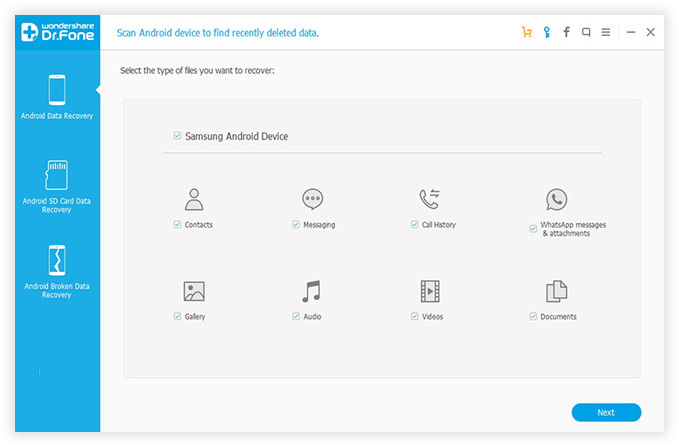 When the scanning is done, the program will display all of the retrieved files on your device, and list them under categories as you can see from the left sidebar. The program is able to recover all kinds of files and content from Sony Xperia, so select the desired ones and uncheck the files you don't want to recover to save more storage and time and and save to the secured location. In this cases, choose Photos and Videos from the options. What's more, you are free to preview the photos to decide whether it's the preferred one. 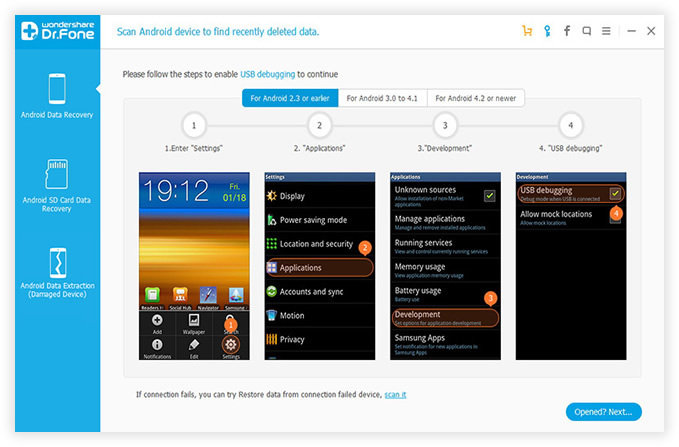 Click "Recover" button to begin the recovering task. With this Sony Photo Recovery tool at hand, there is no need to worry about data loss any more. All of your precious files are well taken care by the program, no matter there are photos, text messages, music or videos. However, it's highly recommended to back up your data regularly with Google Drive or other cloud storing services. Then you are at no risk of losing your data at any chance.